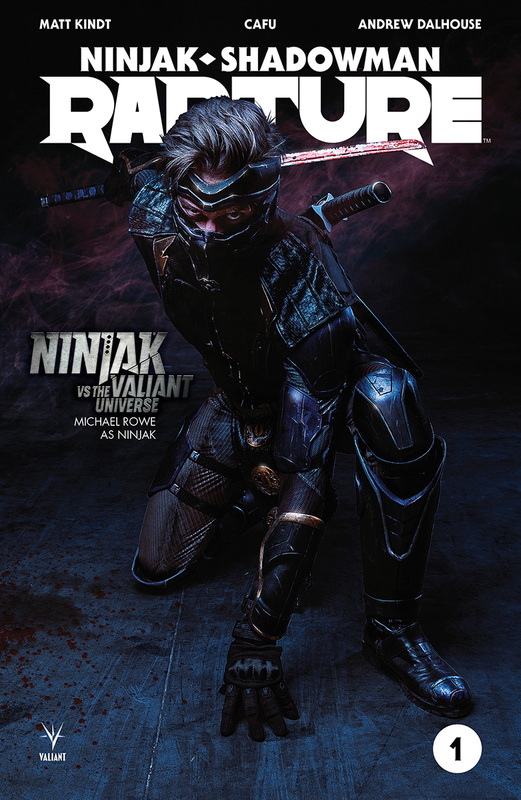 As revealed at Gamespot, Valiant is proud to unveil the first look at the upcoming NINJAK VS. THE VALIANT UNIVERSE series of variant covers – an all-new line of steel-shattering shelf covers spotlighting the battle-hardened heroes of the upcoming VALIANT DIGITAL webseries! 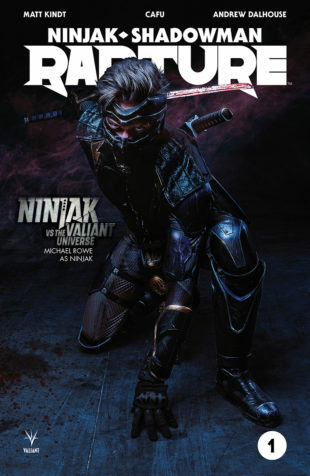 Arriving on shelves in comic shops everywhere from May through August, get your first look at the hotly anticipated live-action debut of Valiant’s most iconic and renowned heroes – including Ninjak, Bloodshot, Eternal Warrior, Livewire, Armstrong, and more – as realized by the series’ star-studded cast. Each NINJAK VS. THE VALIANT UNIVERSE variant cover will be available as a standard “order all” shelf cover and will be available for retailers to order in unlimited quantities at the standard suggested retail price. 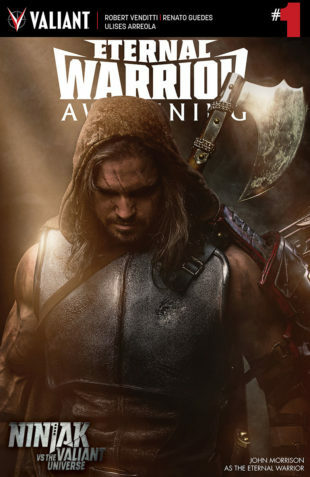 Directed by Aaron & Sean Schoenke of Bat in the Sun Productions – the creators of the massively popular YouTube sensation Super Power Beat Down – and written by Aaron Schoenke, Sean Schoenke, and Joe Harris, NINJAK VS. THE VALIANT UNIVERSE stars Michael Rowe (The CW’s Arrow and The Flash) as Colin King aka Ninjak; Jason David Frank (Power Rangers) as Bloodshot; John Morrison (WWE, El Rey’s Lucha Underground) as the Eternal Warrior; Chantelle Barry (90210, Entourage) as Roku; Kevin Porter (Dodgeball) as Armstrong; Ciera Foster (Two and a Half Men) as Livewire, and Derek Theler (Freeform’s Baby Daddy) as X-O Manowar; among others yet to be revealed. The series will be produced by Dinesh Shamdasani, Josh Johns, and Gavin Cuneo for Valiant Entertainment. In 2017, Ninjak begins a steel-shattering trial by fire through the heart of the Valiant Universe itself! Now, prepare for the high-powered firefight that is come as Ninjak, Bloodshot, the Eternal Warrior, Livewire and more of comics’ most indelible heroes usher in VALIANT DIGITAL’s upcoming, live-action showdown with the NINJAK VS. THE VALIANT UNIVERSE line of variant covers – available in comics shops everywhere all summer long!